Lacey Nicole Chabert (/ʃəˈbɛr/; born September 30, 1982) is an American actress, voice actress, and singer. Chabert landed one of her first roles playing Erica Kane's daughter on All My Children. 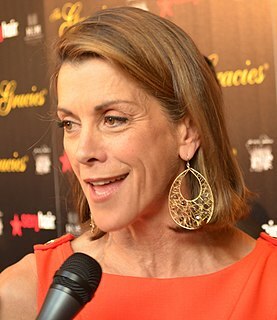 She was the third actress to play Bianca Montgomery from 1992 until 1993. Then gained prominence as a child actress on television for her first big role as Claudia Salinger in the television drama Party of Five (1994–2000). She has also provided the voice of Eliza Thornberry in the animated series The Wild Thornberrys (1998–2004) and two feature films, Meg Griffin during the first production season of the animated sitcom Family Guy, and superheroine Zatanna Zatara in various pieces of DC Comics-related media. In film, she has appeared in Lost in Space (1998), Not Another Teen Movie (2001), and Daddy Day Care (2003), and had leading roles as Gretchen Wieners in Mean Girls (2004), Meg Cummings in Dirty Deeds (2005), and Dana Mathis in the horror remake Black Christmas (2006). Chabert played the role of Cosette in Les Misérables on Broadway before taking the role of Claudia Salinger in Party of Five. Chabert made her big screen debut in the late 1990s, starring as Penny Robinson in the space thriller Lost in Space (1998). Since then, she has been the voice of Eliza Thornberry in the animated series The Wild Thornberrys, and has voiced Eliza in two films, The Wild Thornberrys Movie (2002) and Rugrats Go Wild (2003). She then had a supporting role in the parody film Not Another Teen Movie as Amanda Becker. She provided the voice for the title character's daughter Aleu in Balto 2: Wolf Quest (2002) and she provided the voice of Meg Griffin for the first production season of the animated sitcom Family Guy (1999), after which Mila Kunis took over the role. From 2013–2014, Chabert had a recurring role on the ABC Family sitcom Baby Daddy as Dr. Amy Shaw. After working in various TV movies during this time, she opened 2018 with an original Hallmark movie that premiered as part of the Valentine's Day Countdown. Chabert married her longtime boyfriend, David Nehdar, on December 22, 2013, in Los Angeles. Chabert gave birth to a daughter in September 2016 whom she named Julia. ^ Mendoza, N.F. (1994-10-23). "The 'sparkle' that holds Fox's 'Party of Five' together is called Lacey". The Los Angeles Times. Retrieved 2010-09-24. ^ a b Daniel Robert Epstein. 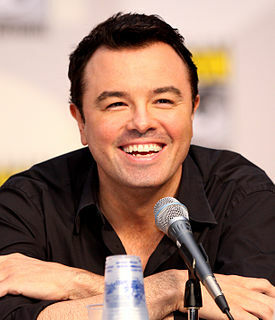 "Interview with Seth MacFarlane, creator of The Family Guy". UGO.com. Archived from the original on December 18, 2008. Retrieved 2009-01-04. ^ Pantera, Gabrielle. "Hallmark A Family For Christmas, Lacey Chabert Wakes Up as a Wife with Two Kids". HollywoodDailyStar.com. Retrieved 2015-07-10. ^ "Vibe chat". Lacey Chabert.com. 1998. Retrieved 2006-11-24. ^ "Lacey Chabert Biography (1982–)". Filmreference.com. Retrieved 2010-08-03. ^ "Where Are They Now?". Ourlittlemiss.com. Archived from the original on 2010-01-27. Retrieved 2010-08-03. ^ "Lacey Chabert interview by GameSpy (October 6, 2006)". Sonic Retro. ^ Fontoura, Maria (January 2007). "Jessica Hundley". Maxim Magazine Online. Archived from the original on 2007-01-20. Retrieved 2007-01-23. ^ Hack, Richard Steven (December 19, 2012). "ABC Family Casts Lacey Chabert and Grace Phipps to Guest Star in New Episodes of Original Series 'Baby Daddy'". TVbytheNumbers. Retrieved December 20, 2012. ^ Blumm, K.C. (January 3, 2014). "Lacey Chabert Is Married". People. Retrieved January 4, 2014. ^ Juneau, Jen (September 8, 2016). "Lacey Chabert Welcomes Daughter Julia Mimi Bella". People. Retrieved September 8, 2016. Wikimedia Commons has media related to Lacey Chabert. Anne Hampton Potts is an American actress. She was nominated for a Golden Globe Award for Corvette Summer (1978) and won a Genie Award for Heartaches (1981), before appearing in Ghostbusters (1984), Pretty in Pink (1986), Jumpin' Jack Flash (1986), Who's Harry Crumb? (1989), and Ghostbusters II (1989). She also voiced Bo Peep in the Disney and Pixar animated films Toy Story (1995) and Toy Story 2 (1999), and is set to reprise her role in Toy Story 4 (2019). Party of Five is an American television teen and family drama created by Christopher Keyser and Amy Lippman that originally aired on Fox for six seasons from September 12, 1994, to May 3, 2000. The series featured an ensemble cast led by Scott Wolf as Bailey, Matthew Fox as Charlie, Neve Campbell as Julia, and Lacey Chabert as Claudia Salinger, who with their baby brother Owen constitute five siblings whom the series follows after the loss of their parents in a car accident. Notable co-stars included Scott Grimes, Paula Devicq, Michael Goorjian, Jeremy London, and Jennifer Love Hewitt. While categorized as a series aimed at teenagers and young adults, Party of Five explored several mature themes, including substance and domestic abuse, cancer, and the long-term effects of parental loss. Danielle Andrea Harris is an American actress, voice actress, and film director. She is known as a "scream queen" for her roles in multiple horror films, including four entries in the Halloween franchise: Halloween 4 and 5, as Jamie Lloyd (1988–89); and the Halloween remake and its sequel, as Annie Brackett (2007–09). Other such roles include Tosh in Urban Legend (1998), Belle in Stake Land (2010), and Marybeth Dunston in the Hatchet series (2010–17). In 2012, she was inducted into the Fangoria Hall of Fame. Lauren Tom is an American actress and voice actress. Her roles include Lena St. Clair in The Joy Luck Club, Julie in the NBC sitcom Friends, Dot in the final season of Grace Under Fire, and the voices for both mother and daughter characters on two animated TV comedy series: on Futurama she voiced Amy Wong and her mother Inez, and on King of the Hill as Minh and Connie Souphanousinphone. She portrays Celia Mack in the Disney Channel series Andi Mack. Jennifer Tilly is an American-Canadian actress, voice actress, and poker player. She is most recognised as Tiffany Valentine in the Child's Play franchise (1998–). Her first notable acting role was on the sitcom Shaping Up (1984), which she followed with her film debut in No Small Affair the same year. She is known for her distinctive voice and comedic timing. Tilly is a World Series of Poker Ladies' Event bracelet winner, the first celebrity to win a World Series tournament. She is the older sister of actress Meg Tilly. 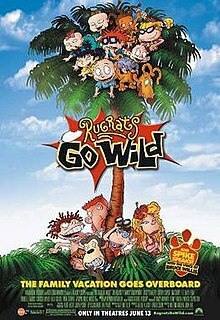 Rugrats Go Wild is a 2003 American animated comedy crossover film based on the Nickelodeon animated television series Rugrats and The Wild Thornberrys. It is the third and final film in the Rugrats trilogy, as well as the second in The Wild Thornberrys series. Christine Cavanaugh, the voice of Chuckie Finster, was replaced by Nancy Cartwright. The film was produced by Nickelodeon Movies and Klasky Csupo and released in theaters on June 13, 2003, by Paramount Pictures. With a worldwide gross of $55.4 million, it is the lowest grossing of the three Rugrats films. Karen Valentine is an American actress. She is best known for her role as the idealistic schoolteacher Alice Johnson in the ABC comedy drama series Room 222 from 1969 to 1974, for which she won the Primetime Emmy Award for Outstanding Supporting Actress in a Comedy Series in 1970, and received a Golden Globe Award nomination in 1971. She later went to star in her own short-lived sitcom Karen (1975), and played leading roles in the Disney films Hot Lead and Cold Feet (1978) and The North Avenue Irregulars (1979). Christine Helen Lakin is an American actress. She is best known for her role as Alicia "Al" Lambert on the 1990s ABC/CBS sitcom Step by Step. She also played Joan of Arc on Showtime's Reefer Madness, was the sidekick on Craig Kilborn's 2010 Fox talk show The Kilborn File, and provides the voice of Joyce Kinney in Family Guy. Renée Taylor is an American actress and writer. She is known for playing Fran Drescher's title character's outspoken mother, Sylvia Fine, on the TV series The Nanny. A Christmas Melody, also known under its working title of Mistletoe & Melody, is a 2015 American Christmas television film and the feature film directorial debut of Mariah Carey, who co-stars with Lacey Chabert. It was filmed in October 2015, and debuted on the Hallmark Channel on December 19, 2015. The film was viewed by 3.95 million people upon its debut.